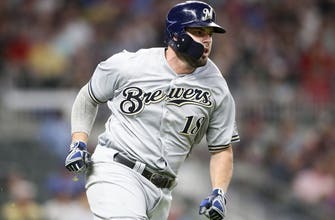 Veteran third baseman Mike Moustakas has agreed to a one-year, $9M dollar deal with the Milwaukee Brewers, which acquired him from the Kansas City Royals last season. Moustakas, 30, made the most of his short time with the Brewers. He batted .256 with eight home runs, 33 RBIs and a .767 OPS in 54 regular-season games. After hitting 20 home runs in 98 games for the Royals, Kansas City sent him to Milwaukee in exchange for outfielder Brett Philips and right-hander Jorge Lopez. The deal with Milwaukee will become official after Moustakas undergoes a physical.